The Xpod® allows you to add an oximetry option externally and offers: Simple Integration, Low Power Draw, Full Range of Sensors, Cost Effective SpO2 Option, and Superior Performance. 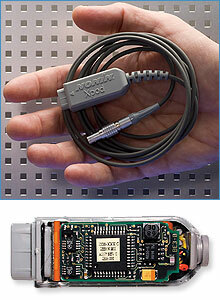 The Xpod® provides an easy way to add pulse oximetry as an optional parameter to your new or existing medical device. The Xpod saves space inside your monitor housing by attaching the oximeter externally, allowing you to choose a sensor for any patient application. Superior Performance — Specified for use in motion and low perfusion environments. Signals integrated with EEG data.